Stoned driving can be as serious a problem as drunk driving. Fatal accidents involving stoned drivers have soared in the state of Washington since marijuana was legalized there, according to a study from the AAA Foundation for Traffic Safety. But it's difficult to determine whether a high-on-pot driver is too impaired to drive, according to a separate study from the same group. Fatal crashes involving drivers who recently used marijuana more than doubled in 2014. Pot was involved in 17% of fatal crashes in Washington in 2014, up from 8% in 2013 -- the year before recreational marijuana was allowed there. "The significant increase in fatal crashes involving marijuana is alarming," said Peter Kissinger, CEO of the foundation, which funds scientifically rigorous studies for the drivers organization. "Washington serves as an eye-opening case study for what other states may experience with road safety after legalizing the drug." "There is understandably a strong desire by both lawmakers and the public to create legal limits for marijuana impairment, in the same manner as we do with alcohol," said Marshall Doney, AAA's CEO. 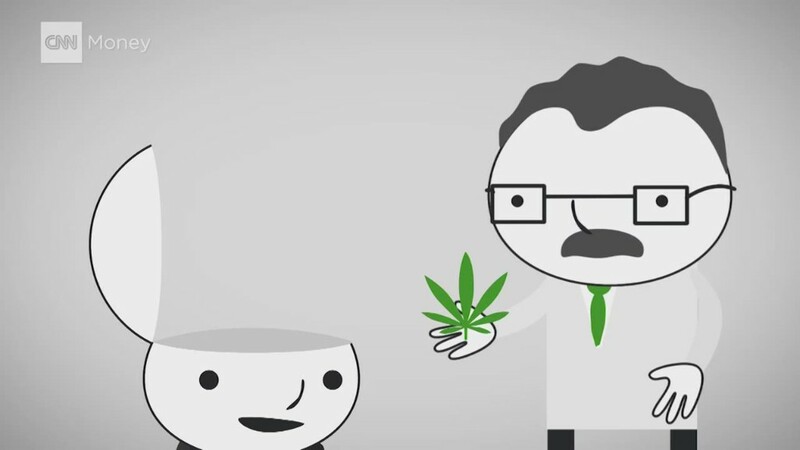 "In the case of marijuana, this approach is flawed and not supported by scientific research. It's simply not possible today to determine whether a driver is impaired based solely on the amount of the drug in their body." The study was criticized by the National Cannabis Industry Association, which pointed to a different study, by the Transportation Department, which found that drivers who drivers who are drunk have a much greater increase in the risk of being in an accident than drivers who used marijuana. "All this report really shows is that more people in Washington State are likely consuming cannabis, and thus might have some THC in their systems at the time of an accident. But since having THC in your system tells us nothing about your potential impairment, it would be like a report showing how many people involved in accidents had drunk a beer in the last week," said Taylor West, deputy director of the group. AAA said the key result of the studies are that it's important that drivers be aware that marijuana can greatly impair driving ability. "Whether the use of marijuana is legal or not, all motorists should avoid driving while impaired," said the group. "Just because a drug is legal does not mean it is safe to use while operating a motor vehicle. Drivers who get behind the wheel while impaired put themselves and others on the road at risk." Another problem with testing for THC is that it requires a blood test, which can take up to two hours to be administered. That's much longer than the roadside breath tests used to test blood alcohol levels. And THC levels can decline significantly in those two hours, making results suspect.